Since the doors opened at the former Southwestern District Police Station house on July 17, 1884, the square brick building at Pratt and Calhoun Streets has served the city in many different ways. When construction on the new building began in the fall of 1883, the Baltimore Sun claimed the new Southwestern district police station would "surpass in size, elegance and completely of arrangement any police building now in the city, and, indeed, it will have few equals in the country." Builders Philip Walsh & Son and architect Frank E. Davis completed the three-story building with room for 47 officers. The men had been reassigned from the southern and eastern districts to serve under of veteran police officer Captain Daniel Lepson who led the brand-new district. 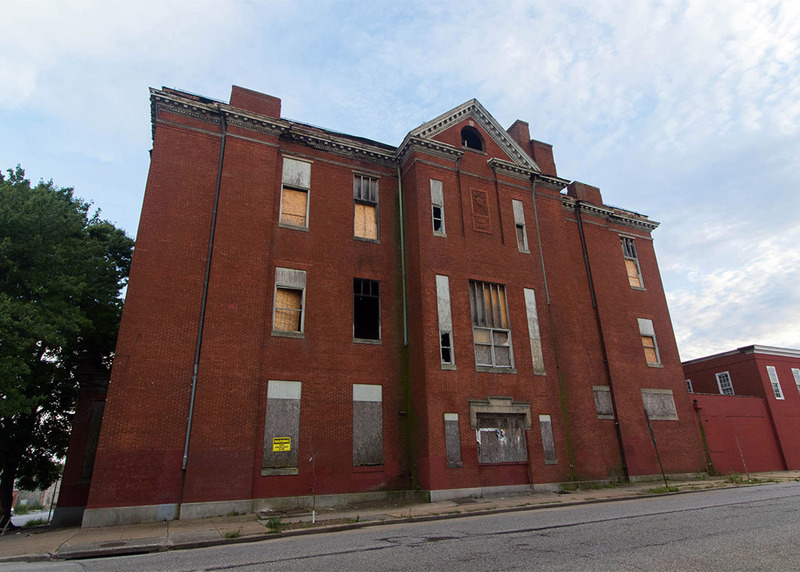 In the summer of 1944, Baltimore's first police boys' club moved into the upper floors, serving around 120 boys from 8 to 18 years old every day during the first few weeks after they opened. With donations from a local social club, the officers converted the station's third floor gymnasium into a "big clubroom," described by the Sun as, "filled with tousle-haired boys noisily pushing at billiard balls, fashioning B-17's out of wood, nailing magazine racks together and eying each other craftily over checker games." The city started four boys' clubs in the 1940s, with a segregated facility for black children at the Northwestern District Police Station on Gold Street. Both the officers and the Boys' Club departed in 1958 when the Southwestern District Police Station relocated to a modern, air-conditioned facility at Fonthill and Hurley Avenues. Following close on their tails, however, were the men and dogs of the department's K-9 Corps who moved their official headquarters from the Northern District station to Pratt Street. Unfortunately, by the late 1970s, the building fell vacant. The Maryland Department of Social Services renovated the former police station in the early 1980s. When they left, the building fell vacant again. Today, the structure is deteriorating and remains at risk until a new use for this often reinvented building can be found. “Old Southwestern District Police Station,” Explore Baltimore Heritage, accessed April 23, 2019, https://explore.baltimoreheritage.org/items/show/503. Published on Apr 1, 2015. Last updated on Nov 27, 2018.